The European Union's High Representative for Foreign Policy, Federica Mogherini, went to Skopje to support the 30 September Referendum. She said Macedonian citizens have a historic case that should not be missed. Mrs. Mogherini conveyed the message of the European Union that says: The EU doors are open to you because we know that together we can achieve a lot." "Our doors are open. You keep the key. Our side is determined and let's make this commitment work," said Mrs. Mogherini, adding that "you have a historic case in your hands." "These are not elections and there is not about politics. You need to make sure that when you wake up on October 1, you will be proud of the choice you have made for your country, for yourself and for your children. 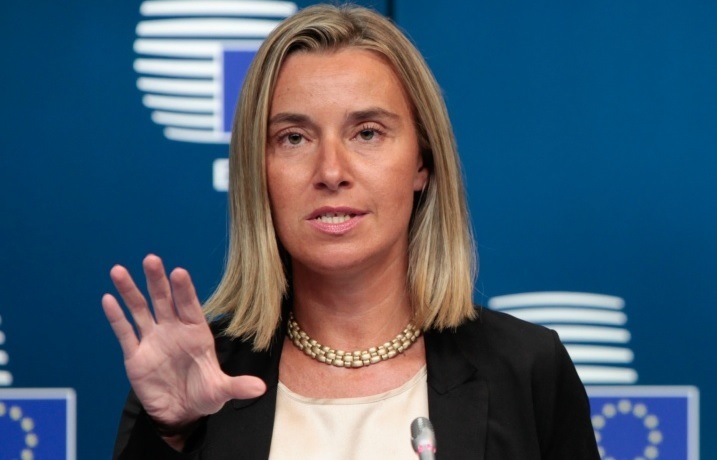 There will be no repentance," said Mogherini, pointing out that the Macedonian voters keep the key of their country's future in their hands.